There is only a glimmer of light in Spain’s long unemployment tunnel after five years of recession. This is because a new economic model has yet to emerge to replace the one excessively based on the property sector, which collapsed with devastating consequences. The depth of Spain’s crisis is such that the country, with 11% of the euro zone’s GDP and a population of 47 million, has 5.9 million unemployed (around one-third of the zone’s total jobless), whereas Germany (population 82 million and 30% of the GDP) has only 2.8 million jobless (15% of the zone’s total). Spain’s unemployment rate of 26.2% is the highest in the developed world (more than double the euro zone average) and five times higher than Germany’s rate of 5.3%, the lowest since reunification in 1991, and it is forecast to remain at around this level for several years. This disproportionate difference cannot be explained away by Germany’s widely used kurzabeit system, under which companies agree to avoid laying off workers and instead reduce their working hours, with the government making up some of the employers’ lost income, or by Spain’s labor market laws. The Spanish economy has not contracted significantly more over the last five years than the German, French or Italian economies, and yet its jobless rate, unlike in these other countries, has skyrocketed. The problem is as much related to Spain’s lopsided and unsustainable economic model, disproportionately based on the labor-intensive property sector. This model created millions of jobs, mostly temporary ones, when the economy was booming and destroyed them equally massively when the housing bubble burst. Moreover, it acted as a magnet for immigrants, without whom so many houses could not have been built. Their unemployment rate is 35%. Of the 3.7 million jobs shed since 2007, 1.6 million were in construction. 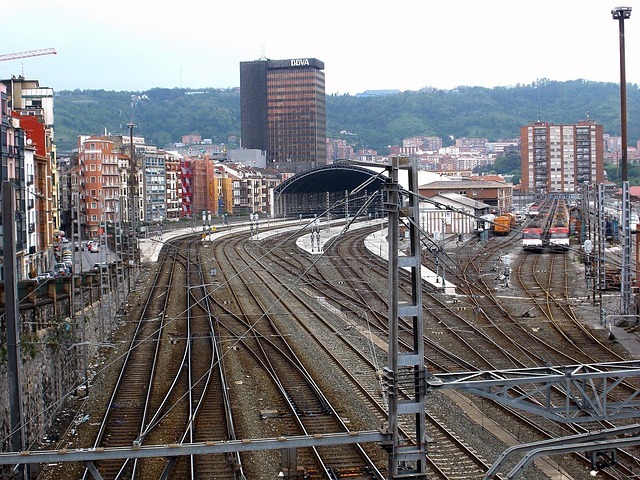 Railway in Bilbao, Spain. Image by tpsdave via Pixabay. The government’s labour market reforms have lowered dismissal costs and give companies the upper hand, depending on their financial health, in collective wage bargaining agreements between management and unions. Facilities were provided to adapt working conditions, including hours and salary. The reforms are having no significant impact on job creation. They will, however, lower the GDP growth threshold for net job creation from around 2% to 1.3% when the economy starts to grow again. But Spain is not expected to expand by more than 1% until 2018, according to the IMF’s latest forecasts. The previous economic model was incapable of creating jobs on a sustained basis and a new model has yet to emerge. Given the state of the education system and the large pool of unskilled workers, it will be very difficult to change the model. One in every four people in Spain between the ages of 18 and 24 are early school leavers, double the European Union average but down from a peak of one-third during the economic boom, when students dropped out of school at 16 and flocked in droves to work in the construction sector. Equally worrying is that one-quarter of 15-29 year-olds are not in education, training or employment (known as Ni-Nis). Results in the OECD’s Pisa tests in reading, mathematics, and scientific knowledge for 15-year-old students and for fourth-grade children in the TIMS and PIRLS tests are also poor; no Spanish university is among the world’s top 200 in the main academic rankings and research and development and innovation spending, at 1.3% of GDP, is way below that of other developed economies. In these conditions, a more knowledge-based economy is a pipe dream, compounded by the government’s short-sighted cuts in R&D and education spending. Furthermore, the decision of the US company Las Vegas Sands to site Europe’s largest casino, conference, and hotels complex on the outskirts of Madrid accentuates the already skewed economic model. The IMF has urged the government to deepen its labour market reforms in order to lower unemployment. The Bank of Spain raised the controversial idea of suspending the minimum wage in certain circumstances. One option would be a German-style mini jobs scheme. The one bright spot is exports, but this sector cannot create sufficient jobs to make a major dent in unemployment. With the construction and property sectors unlikely to get back on their feet for a decade, massive job cuts in the public administrations in order to cut the budget deficit and depressed domestic consumption discouraging the creation of new firms, the employment outlook is bound to remain bleak. For how long will Spaniards remain so resilient? William Chislett, the author of Spain: What Everyone Needs to Know, is a journalist who has lived in Madrid since 1986. He covered Spain’s transition to democracy (1975-78) for The Times of London and was later the Mexico correspondent for the Financial Times (1978-84). 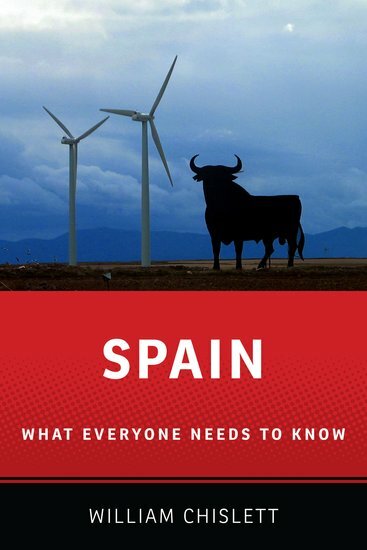 He writes about Spain for the Elcano Royal Institute, which has published three books of his on the country, and he has a weekly column in the online newspaper El Imparcial.